Sam Champion is a military man through and through. A pilot in the United States Coast Guard, his dedication and skills serve to save lives. However, his wife is not thrilled about the perils of his chosen career. With another child on the way, she convinces him to hang up his uniform in exchange for a safer occupation. They move to the northwest coast – to her namesake family vineyard situated in the hills of California’s Humboldt County. 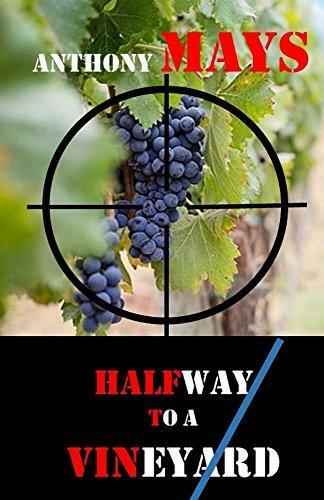 Although growing grapes in Sherry’s Vineyard is an alien concept to Sam, her father becomes his mainstay in learning everything about the wine industry. However, his mentoring comes to an abrupt halt when tragedy strikes. Lack of evidence that supports their suspicion linking a local marijuana kingpin to the shooting of her father weighs heavily on them. As they struggle to accept her father’s loss, the vineyard itself becomes a pawn in a game that may well end badly.